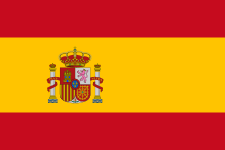 This name uses Spanish naming customs: the first or paternal family name is Molina and the second or maternal family name is Jiménez. José Francisco Molina Jiménez (born 8 August 1970) is a Spanish retired footballer who played as a goalkeeper, and the current manager of Indian club Atlético de Kolkata. 11 years of his extensive professional career were spent at Atlético Madrid and Deportivo de La Coruña, where he won a total of five titles combined. Over the course of 14 seasons, he appeared in 415 La Liga matches. A Spanish international for four years, Molina represented the nation at the 1998 World Cup and two European Championships. Born in Valencia, Valencian Community, Molina started playing professionally with modest UD Alzira, being purchased in 1991 by local giants Valencia CF. After a loan stint with neighbours Villarreal CF he was sold to Albacete Balompié, making his La Liga debut on 8 January 1995 in a 1–0 home win against Real Oviedo. Even though he conceded eight goals in the last matchday, a home loss against Deportivo de La Coruña, his team managed to escape relegation in the playoffs. Molina's club career was intimately related with Atlético de Madrid, of which he claimed to be a fan. Signing in 1995, he helped the capital club win a double (league and Copa del Rey) in his first year, going on to miss only two league matches in four seasons combined. Joining 2000 league champions Deportivo La Coruña after Atlético's relegation, he proceeded to win a Spanish cup and two supercups, being an undisputed starter throughout his stint in Galicia. However, on 14 October 2002, Molina announced that he suffered from testicular cancer, and that he was forced to undergo treatment for his illness, thus missing most of the 2002–03 campaign (ten league appearances, as Depor finished third); he eventually recovered fully. 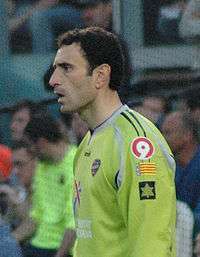 After his link expired, Molina returned home to Valencia for 2006–07, playing for top division strugglers Levante UD, but did not renew his contract after the season's end, retiring subsequently after the club retained its league status. In the 2009–10 campaign, Molina started a coaching career, with Villarreal C in Tercera División. On 12 May 2011, he replaced fired Javi Gracia at the helm of the reserves in Segunda División as the team was seriously threatened with relegation. Molina reached Villarreal's main squad on 22 December 2011, taking the place of sacked Juan Carlos Garrido. He was himself sacked on 18 March of the following year after a 0–1 away loss against former club Levante, with the Yellow Submarine dangerously close to the relegation zone (17th). In 2014, after leading Getafe CF B to the 14th place in Segunda División B, Molina was appointed at Hong Kong's Kitchee SC. In his only season he managed win the domestic treble, also taking the team to the quarter-finals of the AFC Cup. He was then included in the squads for UEFA Euro 1996 and the 1998 FIFA World Cup, but had to wait until Euro 2000 for first-choice status, although he was dropped after a blunder in the opening 0–1 loss to Norway and did not play afterwards.